An amazing post on the whole experience from our own Brenda, including a very thoughtful self-reflection as well as an amazing video of her trip to York. Worth a read, a watch, and a listen! Fervent readers of this blog will have noticed the relatively long silence from yours truly – no good excuses really, but here I am, back with news from York, where this year’s graduation saw the second batch of the Master of Leading Innovation and Change graduating in the absolutely impressive setting of the York Minster. More than 40 graduates from Robert Kennedy College have attended this year’s graduation, from all over the world, and have been cheered on by hundreds in attendance as their dreams to have a Master’s degree have come true. 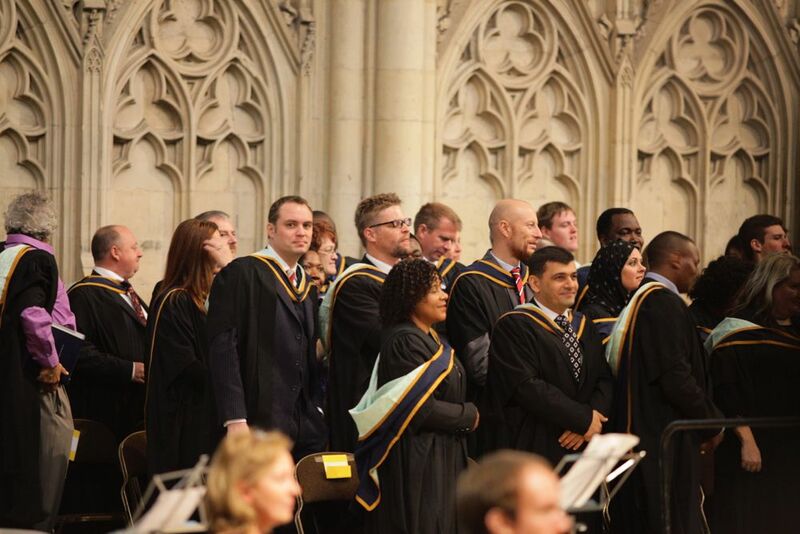 Seeing all of you walk on that platform and shaking hands with the Vice Chancellor of York St John University, Professor David Fleming, I was getting goose bumps: such an accomplishment for you, but equally for us, and boy are we proud of you. Let me say that again. We are immensely proud of all of you, and to be honest I am already rubbing my hands in anticipation for next year’s graduation! Here are some more photos from the graduation ceremony, and I am hoping to be able to post a short clip soon too. Congratulations to you all, and we hope to hear of even greater things from you in the future. Hats-off to our new Master of Leading Innovation and Change graduates !